Before diving in, I need to mention that I didn't get compensated for writing this. 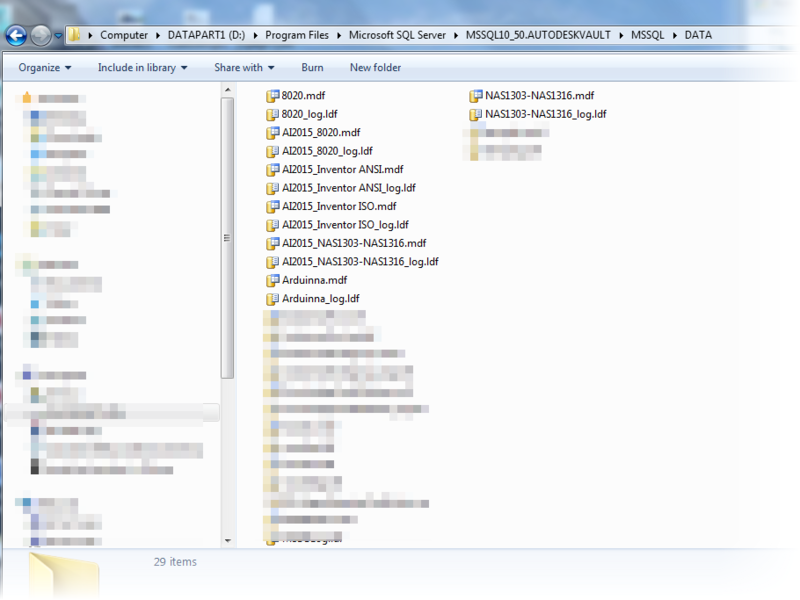 I was supplied a link to download the files. Beyond being supplied the training materials, I was free to form my own opinions. Surfacing is not my strong suit. I've always worked in what I call a “brick with holes” environment. In surfacing, I’m what I would call conversational, I can do it well enough, but there are many I consider better than I. 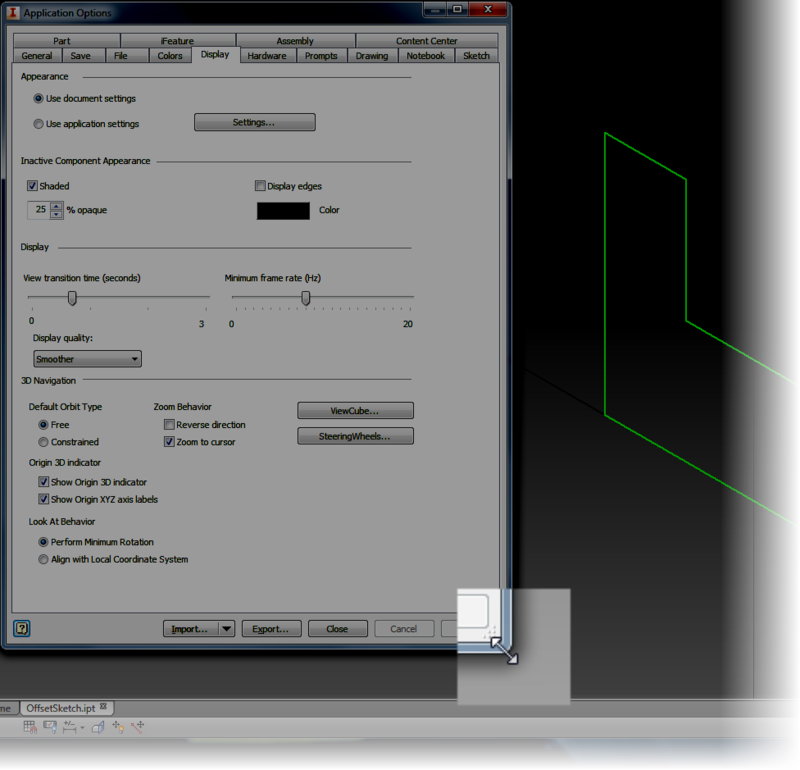 In all my experience, the parts I've designed have primarily been cubic, with features created perpendicular to faces. 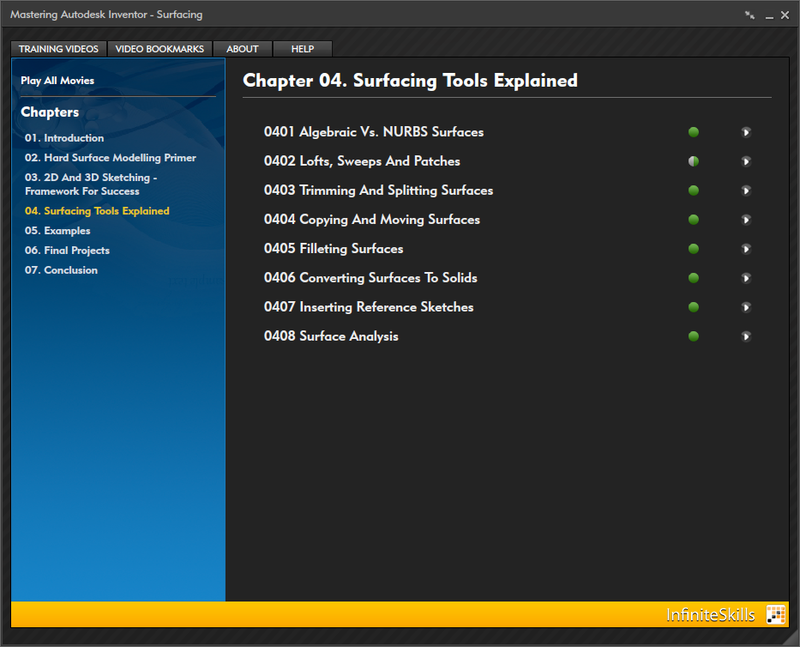 So when Paul Munford asked me to take a look at his “Mastering Autodesk Inventor - Surfacing” training course from Infinite Skills, I was interested. 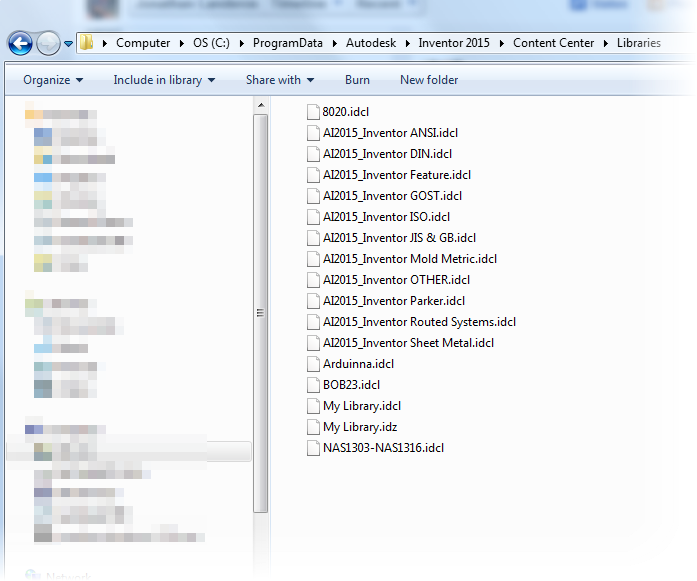 And I was genuinely interested.. Paul is a big contributor to the Autodesk community. 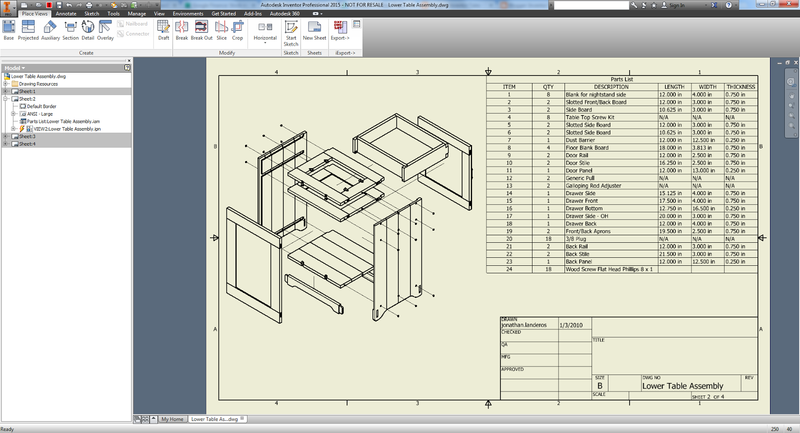 He contributes to several resources, and maintains the website, Cad Setter Outhttp://www.cadsetterout.com/. I know him to be knowledgeable, and one of those great people who wants to share his knowledge. So I accepted, and off I was off and running watching some surfacing training. I’ve reviewed the interface of the Infinite Skills delivery in the past, and I think that still holds true. I like the bookmarking, the organization of the videos. That can be read at my previous post here, and I won’t “copy and paste” that to fill up space. And what really mattered to me was the information provided. I liked how Paul took the time to introduce and explain the concepts related to surfacing, how he explain terms like “isoparms” “singularities”, terms which I've read the definitions of, and forgotten them in the wasteland of disuse, are much more familiar to me know. Taking the time to explain these terms gives a strong foundation for someone knew to surfacing to build from. The explanations were well done. If there was anything, there were a couple of times I wasn’t completely sure of the goal we were heading toward. There were a couple of times I would have liked to see the final shapes at the beginning of the exercise, to know where we were headed. However it did become apparent pretty quickly as Paul explained things. So if there was a gripe, that was it. Really. I don’t have much to criticize. In summary, I like the course. I learned quite a bit from watching it. I recommend it. Most of all, I expect that I will watch it again and again. If you’re looking for something to hone your surfacing skills in Inventor, this is a great video to use. For the price, it’s something that is easily within reach of the average user. 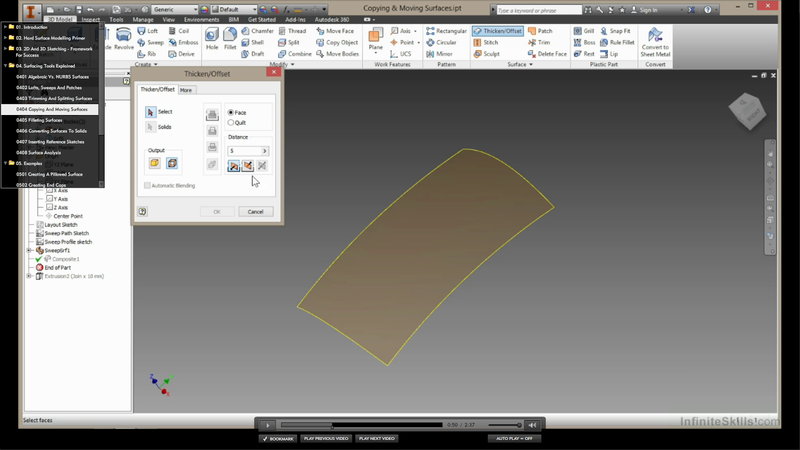 If you use Inventor and need surfacing in any capacity, this is definitely something you need to look into. I think it will pay for itself pretty quickly. 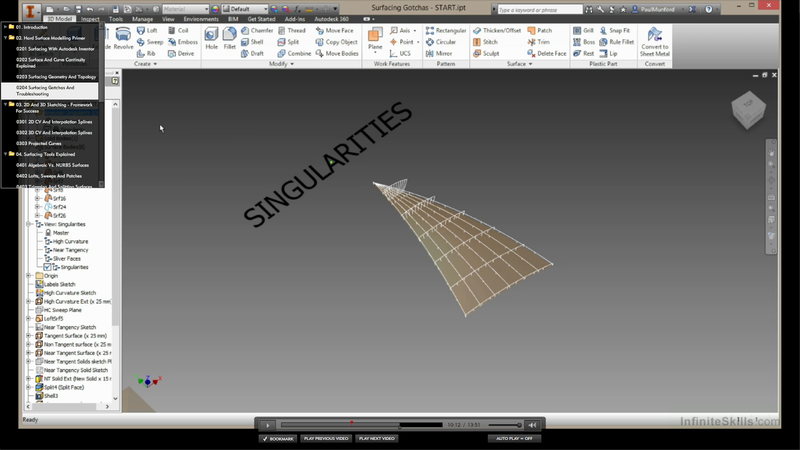 Autodesk Inventor 2015 has several enhancements, and some, like Freeform Modeling and Direct Editing are just plain cool. There are several great links and videos on the subject, and while I have plans to show some of that functionality when time permits, I often like to show some of the functions that aren't as flashy, but I know users will tend to use all the time. One of those new functionalities is the enhanced "Look At" behavior. 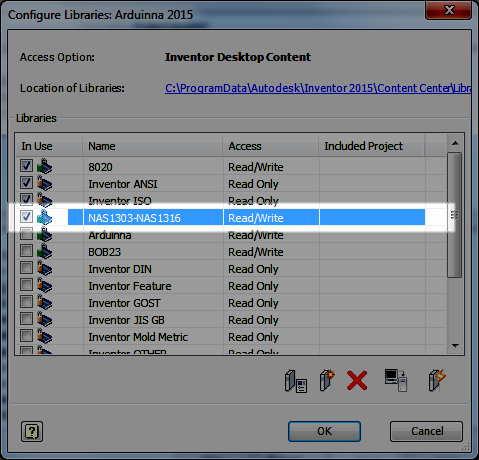 Which as I've used it, I think is going to be helpful as I wade deeper into Inventor 2015. 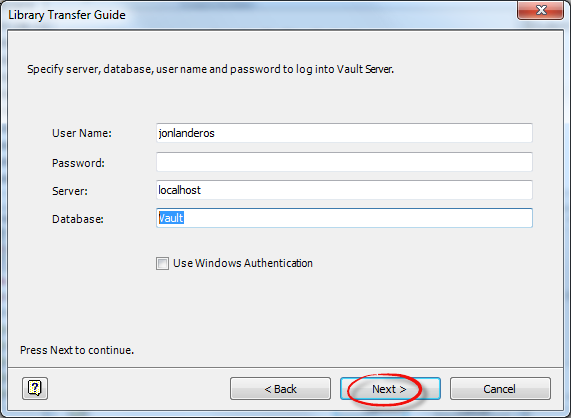 First, I'm going to show some new check boxes that are located in Tools>Application Options>Display Tab. If you want to use these new commands, make sure they're checked. 2) Align with Local Coordinate System - Orients the x axis of the sketch coordinate system to be horizontal and right positive, and the y axis to be vertical and up positive. So in a nutshell, what do these new functions do? First, a little history. For those of us who use Inventor in the past, we've all likely used the "Look At" command and watch our sketches to an acrobatic act before ending up in a position that we really didn't expect, or sometimes want. These commands work together to help prevent that. The "Perform Minimum Rotation" option will prevent the "tumbling" we see in the ghosts of sketches past. The "Align with Local Coordinate System" option will control the orientation of the sketch, and ensure that the sketches orientation is predictable. I've used these settings since I've started using Inventor 2015. So far, I'm liking what I see. 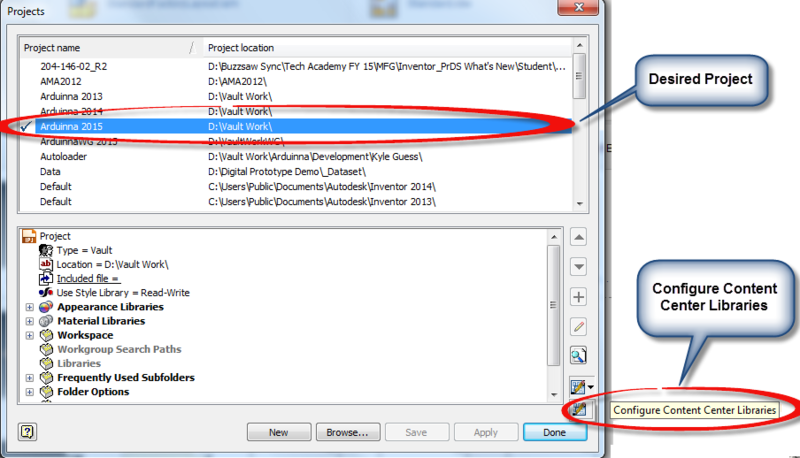 So if you're new to Inventor 2015, take a note of these settings. More importantly, give them a try! And give them a try in different combinations of one checked on, and the other off, you may find a particular combination that you like! And one bonus trick! 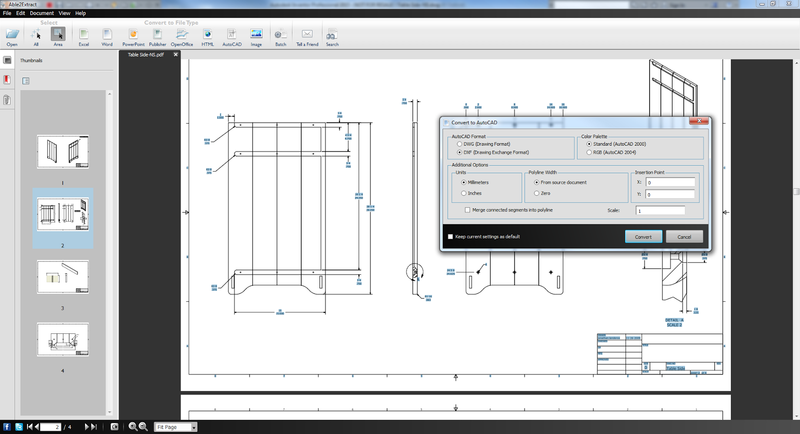 Did you know a new feature for Inventor 2015 is the ability to resize the Application Options Dialog box? Maybe not huge, but it's always been something I've been wishing for! It's been a busy few weeks. I've traveled to Michigan, taught Inventor classes, and even put my head into a Vault server once or twice. 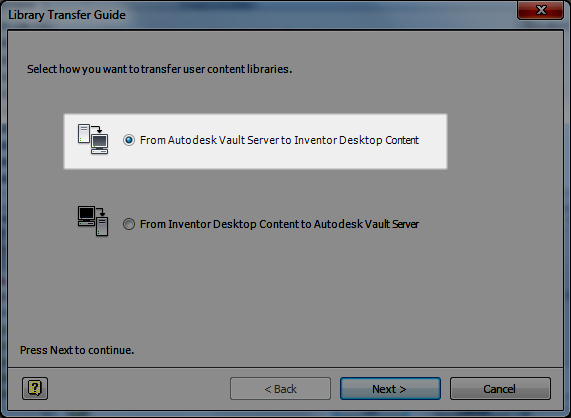 Finally, I find a little time to talk about a new feature in Autodesk Inventor 2015. This one is quick, and it's simple. 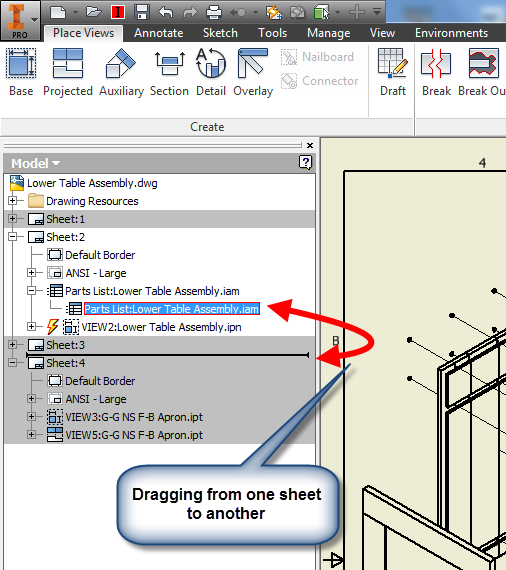 Moving a split table, such as a parts list, from on drawing sheet to another. It's subtle, but it's a significant new feature that several users may find helpful. 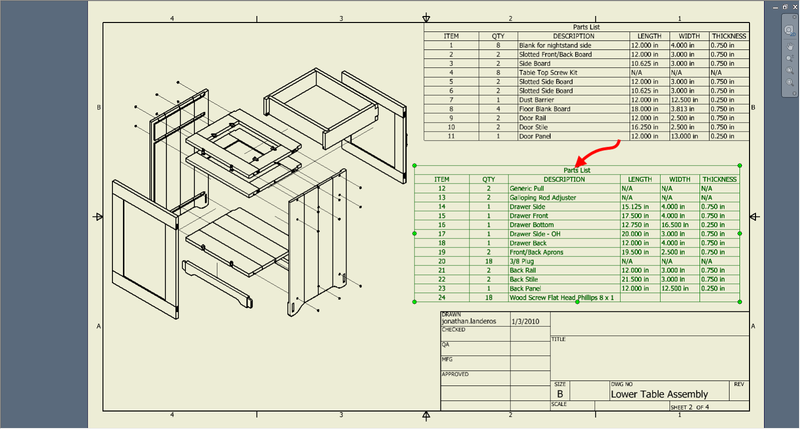 In my example, I'm going to use the parts list table shown below. It's crowding my drawing a bit, so I'm going to split it, and move one end of it to another sheet. An example of my sheet as it looks now! 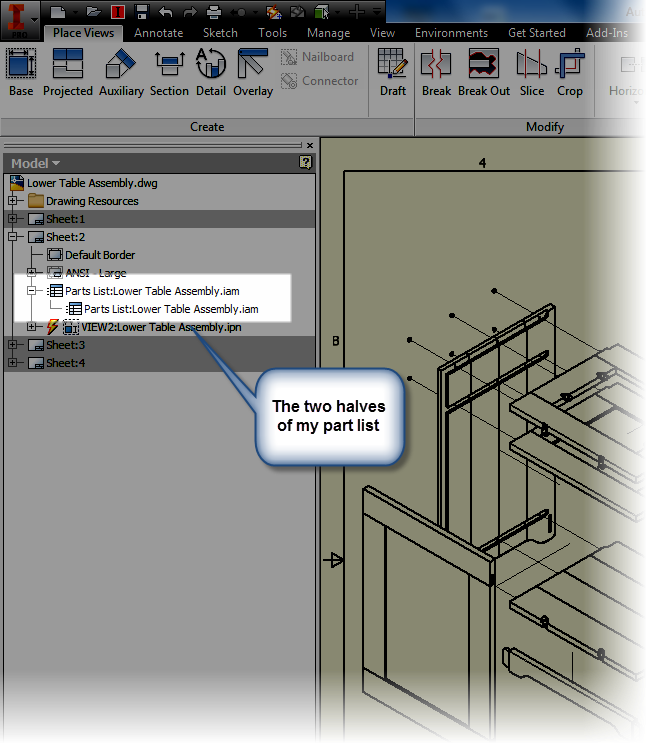 The table will split, and I can drag the parts list into two different locations. But what I really want to do, is drag the template to a completely different drawing sheet. For this, I need to switch to the drawing browser. When I expand it, I can locate the Parts List, and see where it's split into two separate items. Now, all that's left to do is drag the parts list from one drawing sheet, to the other. However, do this in the browser! This will make sure it works correctly! 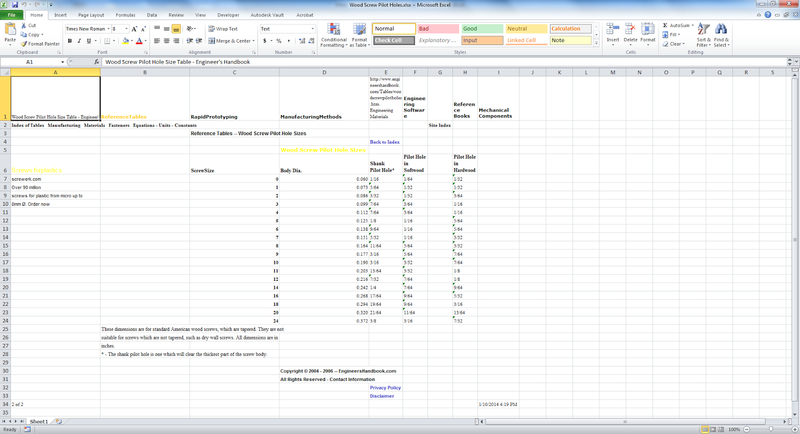 Once that's done, one half of the Parts List will reside on one sheet, the other half on the other sheet. The icon even indicates this, as well as which sheet holds the original! The sheet shown in it's destination. So there it is! 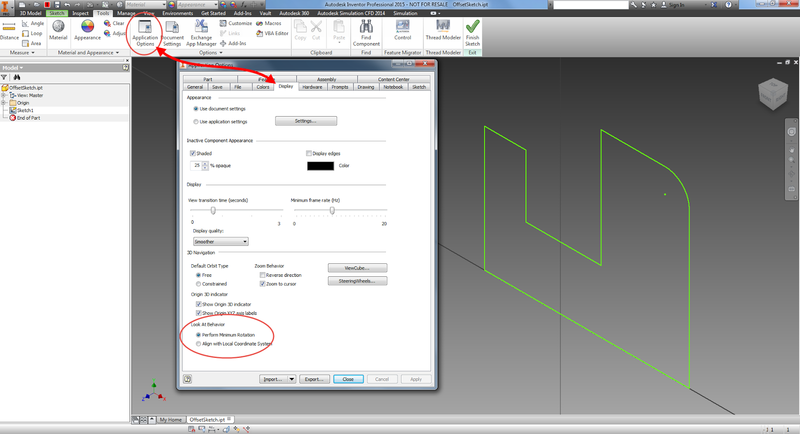 A nice new feature in Autodesk Inventor 2015! 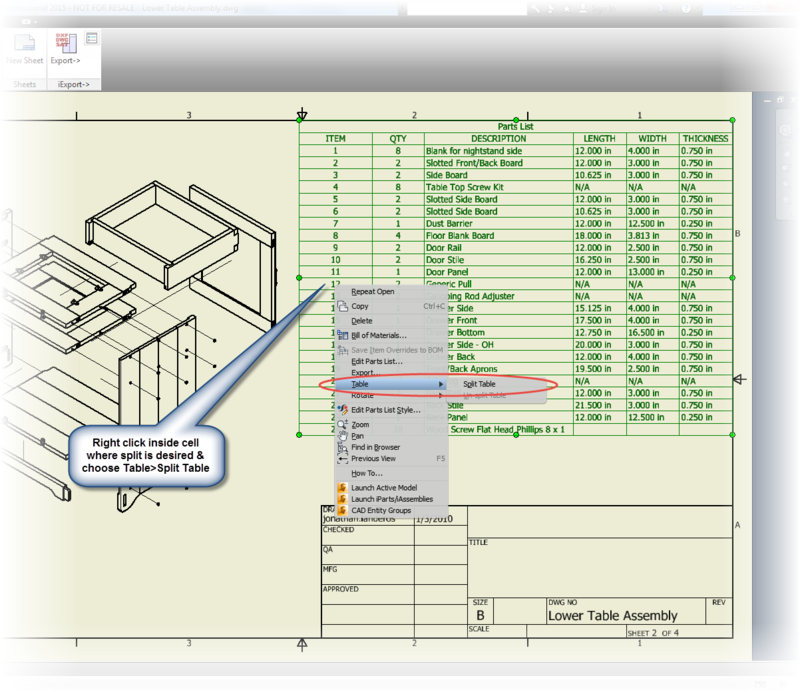 Take a look, give it a try with all the table types! It works with everything I've tried, except the revision table! And feel free to throw a comment below! And one last note! 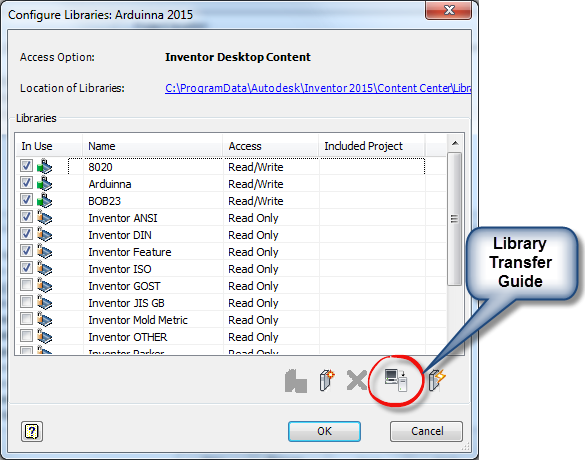 For the full list of What's New in Autodesk Inventor 2015, check out think link! 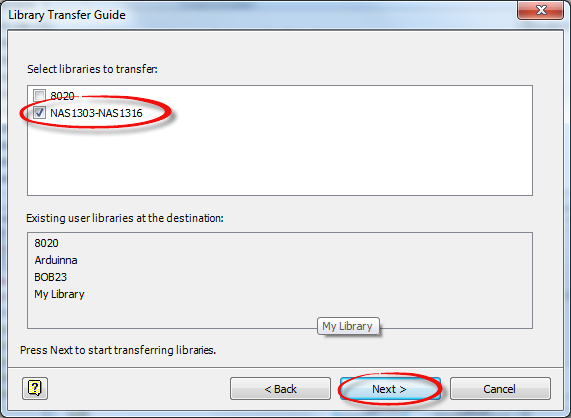 Converting documents from PDFs to editable formats. It’s not something I have seen times when it’s been needed for converting data. It might be a pdf of a drawing, manual, or chart that has been lost or corrupted. How to recover it without just recreating the entire document? I’ve even seen drawings that have been created in a CAD system that’s been relegated to the virtual boneyard. 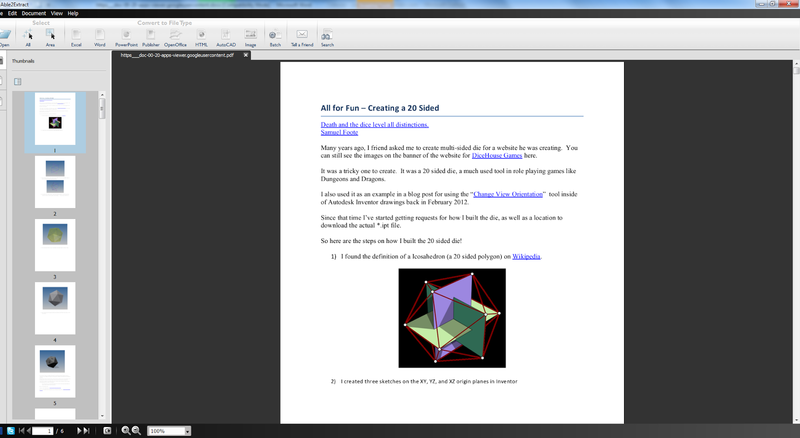 The only thing left behind are the PDFs, information frozen in time, no longer able to be updated or changed. That’s why Able2Extract exists. 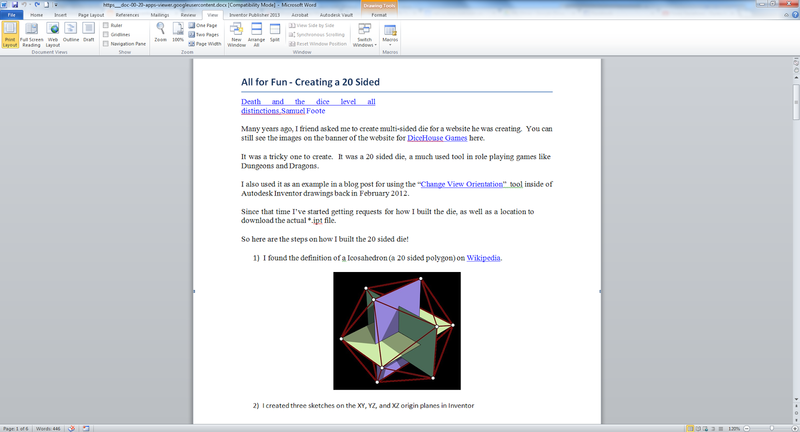 To take PDFs and convert them into a format that can be edited. I was impressed by how easily the conversion was made. 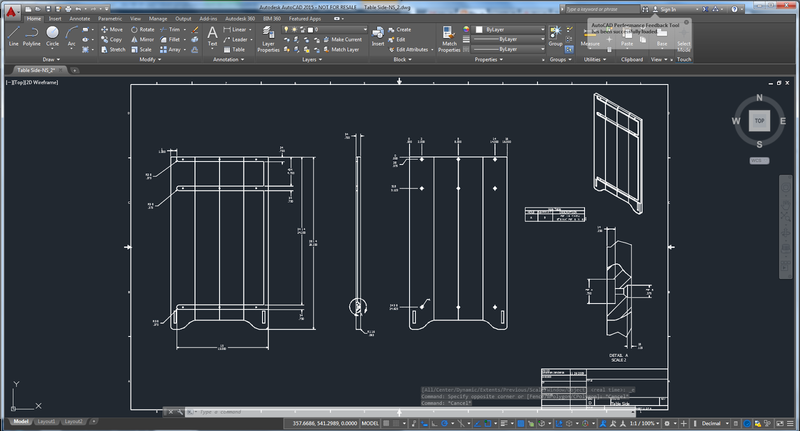 The drawings came across and were quickly turned into an AutoCAD dwg or dxf. Scale is preserved, so measurements can be dimensioned and added. Dimensions converted to text, but that wasn't something that I would consider "world ending". downloaded, and was able to convert all of them with ease. The spacing at the top of the link changed slightly, but still pretty clean. 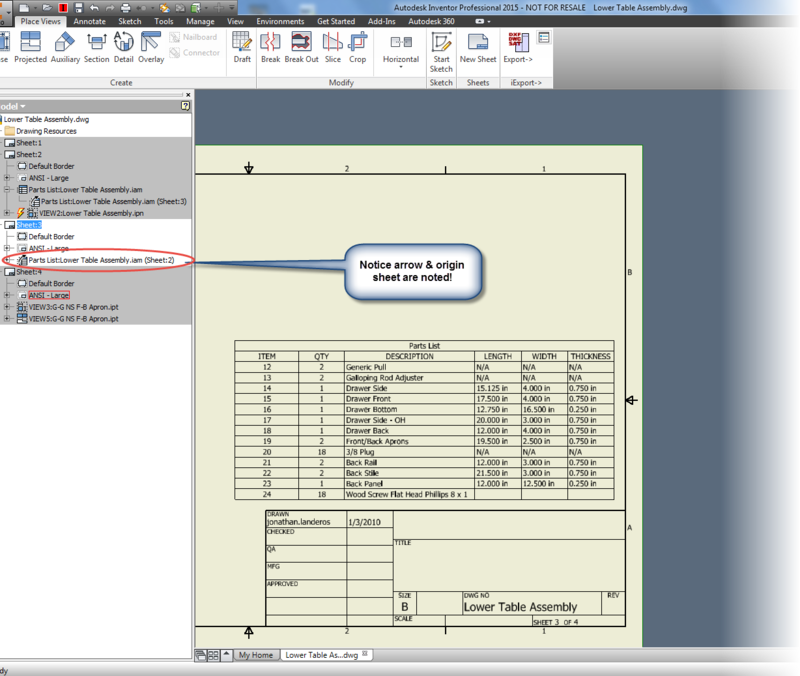 The custom settings for Excel extraction were logical, and it provides a nice preview to help make sure the document will come out the way it’s intended. 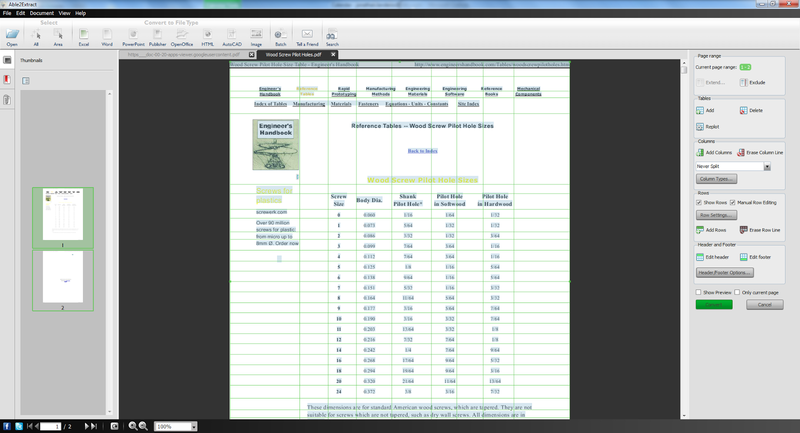 Here I have a sample from Excel, which is a pilot hole chart I printed from Engineers Edge. 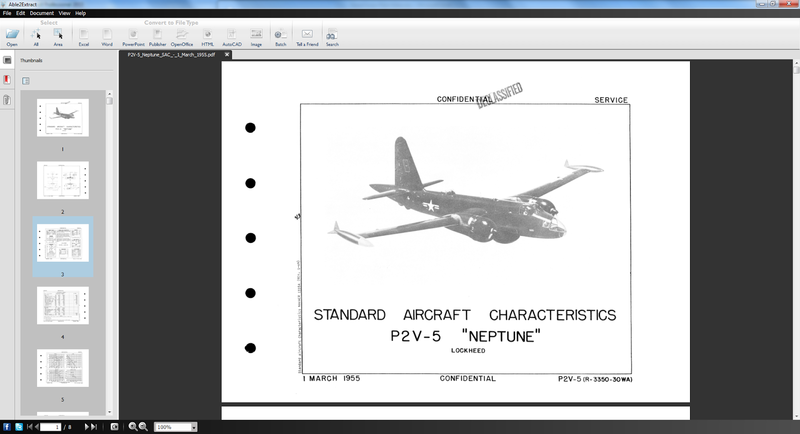 The only things I wasn’t able to convert were pdfs created as raster images, such as a manual on aircraft standards created in 1955. But let's face it! That’s to be expected. A pdf scanned from good ol' paper. As a raster, this one won't convert. Working with Able2Extract, I found the interface very easy to use. A wizard walked me through the steps I needed, and I found the icons to be easy to understand, and laid out in a logical order. The icons follow the workflow from left to right. Open, Select, Convert. Just like that. So in short, what did I like? • It’s easy to use, and it just works. It’s not difficult or tricky. 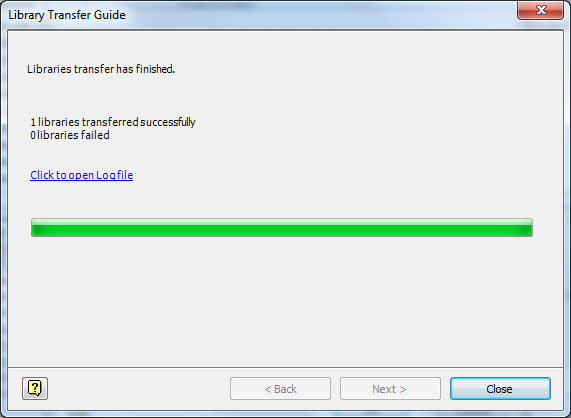 I really was converting documents within minutes of installing it. • The wizard that walked me through the steps of using it was a nice touch. I could have gotten by without it, but it’s nice to know it’s there. • The icons were laid out very logically, the toolbars work from left to right. What did I not like as much? • Very little. It works simply, and works well. I certainly think that it’s capabilities give us an opportunity to look at making sure we keep our data secure.